Please take a moment and read what they have to say about their experience training with us. 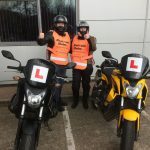 I signed up for both CBT and Direct access courses with Biketrain Wales,hoping to fulfill a boyhood dream of owning and riding a motorcycle. I learned not just how to ride safely but also smartly, learning to read the road from the point of view of a bike. Having driven a car for 23 years regularly covering 35-40k a year that is a lot of bad habits and “car thinking” to overcome. The instructors (I had Julian and Carl) were both professional and personable, enjoying a joke and imparting knowledge as appropriate. I found the “car” mindset hard to break however all were patient with my questions and gave concise, not woolly answers. Expect constructive criticism of your ride, as after all you are being trained. If you listen to this and take it on board without looking for excuses, you will find you vastly improve your riding skills in a very short time scale. 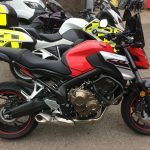 Biketrain Wales runs a fleet of first class motorcycles which offers choice to fit your frame size removing any concerns you may have of the bike causing you problems. From my experiences I would, have recommended Biketrain Wales to friends for a hassle free professional service. Comments: Many thanks to the team at BTW I’ve enjoyed every minute of the training, which has professional, educational, in a safe friendly environment and second to none from CBT to DAS. I would just like to say a big Thankyou to the team for my Mod 1, Mod 2, not forgetting my CBT, having officially became a biker yesterday (first time pass). The delivery of the training was second to none as are the facilities. I will not hesitate to recommend Biketrain Wales to anybody who wants to learn how to ride a motorcycle properly. I completed my CBT last November and since then have been riding my 125 Varadero from Abergavenny to Newport fairly regularly. I decided to take my DAS in June and chose Biketrain. My first impression was one of calm competence and it’s my last as well. They know what they are doing, are experienced and thorough and I found it very confidence-inspiring. I was also impressed at how having different instructors made little difference; the attitude and rigour was consistent. It took me a few goes to pass my Mod 1. I hadn’t realised how nervous I’d geT. During my trips to the test centre I did like the way that every available moment of riding time was used to take us on Mod 2 routes and polish our on-road skills. Following the exhaustive (and exhausting) training day for the Mod 2, I passed first time. So it paid off and as I was doing the test I felt completely confident because we had prepared the routes so well. I wouldn’t hesitate to recommend Biketrain. They are a very friendly bunch and are a great way to start riding. Comments: Just to say a big thank you for getting me through the CBT and Direct Access Course. Bike Train have some space to layout, accurately, parts of the CBT course. This is very helpful to get a good idea of what to expect. Particularly useful in my case was being able to practice the swerve test (which caught me out the first time with a different training school)!! . That was a great help. The way in which the trainers explain things works well and makes sense. Time is not rushed and you get value for money, you’re not being chucked out the moment your hours are up. Most importantly, you know where you are with cost and what to expect. This was a great improvement on a previous experience. Organisation is also good which makes a big difference to the experience. So, overall a very positive experience and thanks again to all at Bike Train for the time and effort you put into helping people to get through this exciting but sometimes challenging experience! To the team, I would just like to say how sincerely grateful I am to Bike Train Wales for opening a door to me I have for too long stood on the outside of, deciding whether or not to knock on. From the moment I first spoke to them, enquiring about enrolling on a CBT course. I had a good feeling that I had picked the right training school. I found it hard arresting my eagerness for time to pass until my CBT date approached. My instructor for the days course simply put was great. He was extremely patient, humorous, knowledgable and gave me the confidence, as a complete novice, to be able to take to the road in the afternoon, (adrenalin reigned in), under a watchful eye, as I successfully negotiated the emergency stop, U-turn, hill start and road ride to pass my first test, on my way to “Big bike” freedom! Comments: Id just like to thank the team at Biketrain Wales for getting me through my bike test, it was something id wanted since i was a young man and now I’m legal after failing the old test twice i was a bit concerned about the new style test, but after completing the test i personally think the new test is easier. I again would like to thank the team very much Dave Long. Day 1 of the Das course took “forever” to arrive, (though in reality, it was less than two weeks wait!). I don’t think I could have been more fortunate, than to have such a brilliant instructor. My adrenalin was pumping at the thought of getting on the “big bike” for my day’s training, but they had obviously seen many such as myself, an excited, chomping at the bit kid, trapped inside a 40 “something” body, many times before, and so, a nice cup of coffee and a chat later, and I was ready to calmly, go through the Mod 1 test procedures, followed by an exhilarating ride out in the afternoon. I was buzzing all evening! What a great day! Many thanks. Before I knew it, day 2 of Mod 1 arrived, and now I was genuinely more nervous than ever! Today was Mod 1 test day, Aaaaaaaagggggghhhhhhhh!!!!!!!!! I can only say, thanks once again, as I performed all the required test techniques, (faultlessly, according to Darren who watched my test) and could hardly keep my grin inside my helmet as I rode back to the Cwmbran training center All that was left to get through now was Mod 2.I decided to take my Mod 2 in Merthyr, as this was the next nearest date, and I literally couldn’t wait. What a beautiful area to bike train in. I could not have picked a better place. The views, roads, lanes and scenery were fantastic! and we had a great ride out to Merthyr Test Centre and back again, once again polishing and fine tuning our riding technique and style. (the snaking, stretches on the mountain roads counter steering our way through the swerves, bends and crisp morning sunshine were awesome.we pulled back in to the Test Centre, answered a couple of questions on pillion passenger behaviour, and safety, and were genuinely ecstatic to hear the examiner say “I’am pleased to tell you you have been successful, and have passed your DAS test.Yahooooooo!!! Pressure off.The ride back to the training school will probably be my most memorable for a long, long time.I felt so proud of myself, I can not remember when I have wanted to succeed at something so much, but I am also very grateful to Bike Train Wales, for giving me the confidence in myself to go out and ride!!!!! Many, many thanks. First we would like to thank the team for training us. I am sure you guys must have thought you have a couple of numpties on the bikes!! 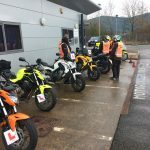 Our sub standard CBT training has led us to seek new training…Biketrain Wales from the start with the descriptive introduction on the phone and reassuring quotes we immediately felt at ease. The first day we arrived the day was planned to execute excellence and deliver an objective. There wasn’t any hanging around working together they got us on the bikes and took us thought the slow manoeuvres. Before we knew it all the skills we needed we to complete mod1 slow manoeuvres were in place. The guys really make you feel at home and relaxed with a selection of different styles of bikes there’s defiantly be one for you. After day one training we were raring to go. At the Newport site there was an excellent almost purpose built site just for the fast manoeuvres. On the way to Newport the training never stops with road training on the way. The professionalism of the team at this session of the training far surpass any expectations we had, come rain or shine as it did on our test day the training was changed to accommodate. I still think that cone could have flown higher!!! With positive feedback given throughout the training test day was a lot easier on the nerves. If you are worried about the test layout don’t worry because it was a lot easier than you think…we recon they train you harder!! Money can buy the training received from the team both of us would like to thank you very much. Whatever your riding style they can fix it! Roll up Roll up, let’s find that really BIG hill and do a hill start on it! Cheers this was probably the biggest hill and first proper hill start any of us had attempted. It did the trick. The days are planned out really well and routes flow into each other. Coverage of the Newport city is massive in the time allowed, always receiving feedback and encouragement.  This school of training has the best quality of instructors that are dedicated bikers whose enthusiasm will spread to anyone who trains with them. Both of us passed DAS and have since spent all our savings on two bikes!! Thanks guys you helped a dream come true. Remember the name BIKETRAIN WALES Quality, professionalism and dedication, we will never forget. Ladies don’t be afraid we want more for DAS!!! Comments: Just to let you know that I passed my bike test this morning! I am very pleased and have been smiling all day! Thanks to the team for being fantastic teachers. I am sure I could not have passed without their excellent tuition on Tuesday. Thanks guys so much for the day. A whole new experience for me, made not only enjoyable, but your style, knowledge and humour removed some of the fears that I had. Be back soon for the 125 restricted training. I wanted to write on the Bike Train Wales website to let people know, especially the ladies, about the CBT experience. 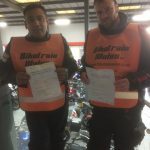 I have always loved motorbike racing, but I have never ridden a bike before, so I decided to contact Bike Train Wales and dauntingly booked my place on the course. The instructors at Bike Train Wales really made my feel welcome and they talk you through what is going to happen on the day, which puts your mid at ease. They also have all the equipment at hand; so don’t panic if you don’t have a helmet etc, as they provide it all. They also show you all the parts of the bike, so you become comfortable with the machine. You are given 9 hours to complete the CBT and I did it over two Saturdays, which really helped me, as I did not feel pressured or rushed. Before you go out on the road you spend time learning the manoeuvres on a bike, e.g. emergency stops and junction work. I was nervous about going out on to the road but my instructor was very patient with me and you are given time to get used to the road conditions and to build up your confidence. After the first hour of being on the road I started to really enjoy riding the bike, even when it started to rain. I felt more confident when I was asked to lead and could not believe after just over two hours of being out on the road I was riding down a dual carriageway. 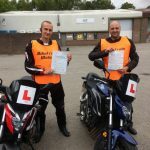 I did manage to pass my CBT, but I could not have done it without the help and support from everyone at Bike Train Wales. 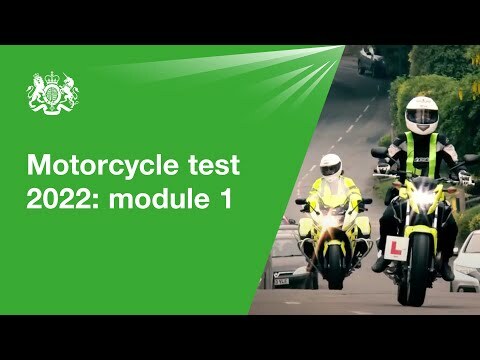 Once they give you your CBT certificate they provide really good advice of what is the best route to take for future bike tests. Even though I was a bit scared at first I found the CBT one of the most enjoyable experiences ever, and I can’t wait to go out on the road on my bike. 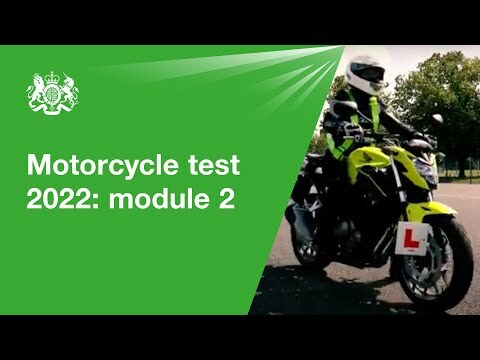 I know a few ladies who are too nervous to take the CBT, but all I can say is that if I can do it anyone can and that there is nothing to be nervous about. Bike Train Wales is definitely the best place to go and I recommend it to anyone who wants to learn how to ride a motorbike. 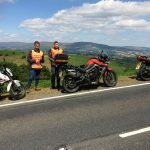 Biketrain Wales gave me the confidence and encouragement to complete my CBT. Having never ridden a motorcycle before that day, I felt I would never be good enough. If it had not have been for the excellent instructors I would have given up. They had the patience to keep me motivated. I had a wonderful day and will not hesitate to return for some 125 training prior to my test. The instructors were nice and friendly whilst being very co-operative and understanding. The facilities were of a very good standard. They were very good at communicating. The day finished with a brilliant on road experience. 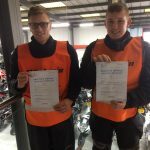 Very good instructors and very helpful, will recommend Biketrain Wales for all motorcycle training. 10 out of 10. Very Good. If was great fun and a great laugh. The instructors were excellent. They gave me the confidence and skill to ride my bike and all in one day. 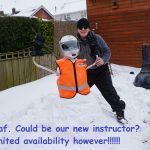 I would recommend Biketrainwales to anybody who wish to start motorcycling. Well done all. I had never riden a bike before so I started with a CBT course. I enjoyed it so much I went on to Direct Access. The instructors tuition was just right for my experience. 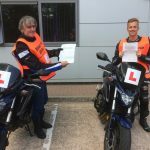 In just 10 days I had gone from a complete novice rider to passing my test. I am now planning to take my new CBR 1000 down to Spain in August. Thanks for making dreams come true! Comments: A big thank you to the team at Biketrain Wales. The wettest day in July’s history, adverse weather (even for the ducks!!) Yet your dedication and professionalism shone through whilst training the likes of myself to a successful CBT standard. I can only speak for myself when I say I had an educational and enjoyable day that resulted in gaining my CBT. I can definitely say I am not a fair weather biker!! I will recommend you guys to anyone who is looking for bike training and look forward to taking the next hurdle. DAS. How’s it going, My name is Darrell Axford, I did a CBT and DAS with you back in January. I was the one going to Spain for an offroad bike holiday after my test. Firstly I just wanted to say thanks again to you and the boys, the training was excellent, the guys were very professional but very friendly and relaxed at the same time. Which made it allot easier for me. As for Spain, it was amazing, dusty trail, friendly people, nice food. Just so much fun. Here is a clip http://www.youtube.com/watch?v=DzV4W94M4Cs I’ve attached a couple of pics too. Just a short note to thank the Biketrain Wales team for getting me through my DAS course and with passing my test on Tuesday.I found all the guys really helpful, committed and passionate about bikes. The structure of the set days structured as they were, as in day 1, day 2 etc was perfect for me and each day I felt my knowledge, capability and confidence grow.It seemed more than just the structure worked as also did the particular instructors fitting the tone of the day. They were great in easing me out of the rusty rider, CBT mentality and, following a pretty crappy first ride out, had helped me fix a lot of riding issues. The Sunday ride out was a great buzz and pushes home the whole point of motorcycling and then Monday / Tuesday into test with really polishing my riding and they could not have done more for preparing for my test. Once again many thanks, I cannot rate your course highly enough and would recommend it to anyone. P.S I am out hunting for a bike and will pop in with it and bore you all with it. !! !